Walking toward the subway at 12:45pm in my Crown Heights neighborhood on the way to Red Fern Theatre Co’s production of Gentrifusion, a dude on the street offered to personally gentrify me, intimately and specifically. This made me angry (as it usually does) and I said a few things, and he said a few things, followed by gestures while police looked on, very little got accomplished and I went on my way to a Sunday matinee in the theatre. I have no idea who this man is, I probably couldn’t recognize him on the street tomorrow it happened so quickly. My impulse was to shut him out, protect myself. But I live there, not separate from him or our neighborhood. At these intersections of interaction are the difficult places we have the opportunity to listen . . . even change. This is what theatre, unlike life can do for us, allow us a context in which to observe as we explore deeply personal issues. Gentrifusion is such a experience- 6 skilled writers (Jon Kern, Crystal Skillman, Michael John Garces, Joshua Conkel, Carla Ching, Janine Nabers) create realistic scenarios in which many perspectives exist and can be given equal weight, displaying destructive and constructive interconnectedness without sentimentality or safety. Michael John Garces’ ghost story inhabited- 3 inhabitants (Molly Caden, Gio Perez, Michael Schantz) of haunted building witness their presence becoming a part of a buildings history, playing on fear of the past and the way the present informs the future. 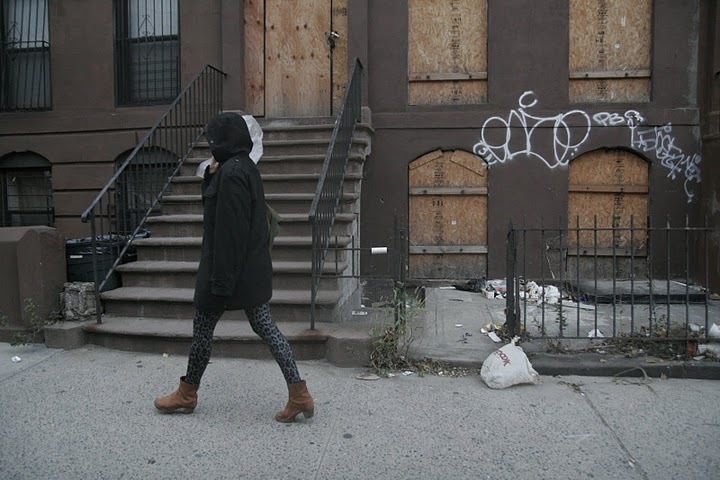 Crystal Skillman’s Crawl,- two brothers (Sheldon Best and Nathan Hinton) selling their Crown Heights family home after their real estate broker father passes away, look to move towards something better. 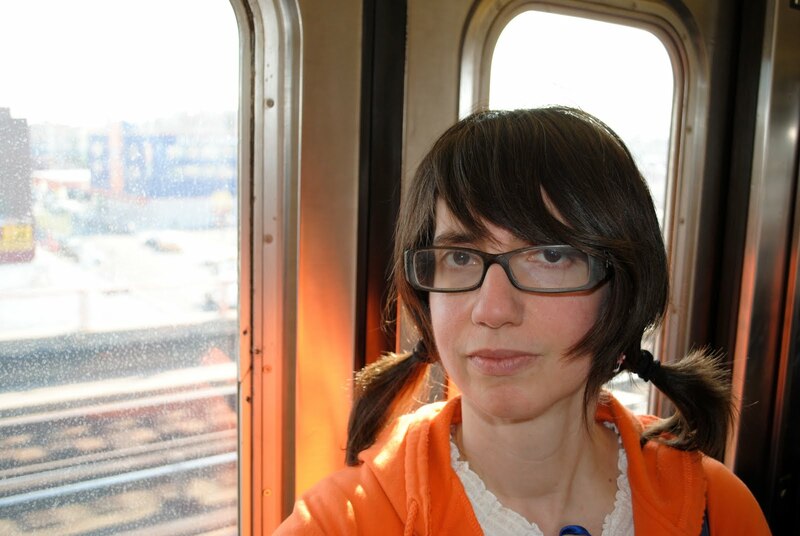 A hilariously heart breaking search for home, based on a true story from a Crown Heights broker. Joshua Conkel’s Robert Mapplethorpe Doesn’t Live Here Anymore- Andre St. Claire Thompson plays a acerbic vulnerable and gorgeous pre-op transvestite opposite Devin Norik’s adopted chinese baby toting affluent gay doctor, broaching the changing class scape between “queer people and gay people” in a gentrifying chelsea neighborhood losing and regaining it’s fierce authenticity. Janine Naber’s ominous play (2)11 is rife with stand out performances from Andrea Day as a young recently divorced mother ( ex-park slope dweller) who is held up at gun point with her newborn in a baby bjorn and Federico Trigo the police officer who interviews her and escorts her home (to his old and her new neighborhood, 11211). Jon Kern’s Ours is the Future, Ours is the Past- couple, Lucy (Megan Tusing) and Max (Eugene Oh) relocate to 11211, their apartment is robbed. A violent and ultimately honest interaction ensues with local mechanic (Salvador Chevez) as they break the cycle of violence and separateness. Carla Ching’s First of the Month- with the talented trio- Rajesh Bose, Wayne T. Carr and Tiffany Villarin- everybody broke in broke neighborhoods, even people who seem like they have cash don’t. Most of us who have the money to live here without personal wealth have a few jobs and are lucky to be scrimping by while sharing a place with room mates. We really need each other to survive hard times. Would be truly exciting to see this is a collection of work travel into the communities represented; crown heights, chelsea, etc encouraging people who regularly attend theater and those who do not regularly attend to experience the piece together. With Gentrifusion: an installation of new work, Red Fern Theater Company continues its community-conscious theatre work with six new plays by New York writers on the theme of gentrification. The elderly Jewish couple next to me were debating all evening what the word actually means (without much help from the program, which talks about it but never defines it); so, "gentrification" means the restoration of run-down urban areas by the middle class, resulting in the displacement of low-income residents. Red Fern commissioned six playwrights- Jon Kern, Carla Ching, Joshua Conkel, Michael John Garcés, Janine Nabers, and Crystal Skillman- to write short plays addressing the topic, and produced them with their usual high-quality style. The first play, Jon Kern's Ours is the Future, Ours is the Past, directed by John Giampietro, is a tribute to the style of Thornton Wilder, but in Brooklyn. The Student (Molly Carden), stands in as a Stage Manager, telling us about the personal lives of Mr. Douglas (Tim Cain) and Rogelio (Salvador Chevez), who run a failing auto body shop, and Max (Eugene Oh) and Lucy (Megan Tusing), a young couple who've just moved into a walk-up next door. When Max and Lucy's apartment is broken into, accusations fly. The stylization is quite effective in delving into the characters backstory, to let the audience see all sides of the characters' lives. First of the Month, by Carla Ching, directed by Moritz von Stuelpnagel, is a sweet piece about subletting; Jakob (Wayne T. Carr) and Sam (Rajesh Bose) are moving out, while Jakob's co-worker Muriel (Tiffany Villarin) is moving in. Unfortunately Sam's still hungover, and Jakob picked up another shift at the bar, so the packing isn't done yet. A sweet piece about hipsters, with a very funny turn by Bose. Robert Mapplethorpe Doesn't Live Here Anymore, by Joshua Conkel, directed by Moritz von Stuelpnagel, is a hilarious and riveting piece set in the gay ghetto of Christopher Street, with a confrontation between a homeless drag queen (André St. Clair Thompson) and an upwardly mobile Gay doctor (Devin Norik) with a husband and a baby. The script tackles the not-often discussed conflict between "Queer" and "Gay" men. Unusual and consistently surprising, it's a fantastic tour de force for the two actors, and is a highlight of the evening. After intermission was inhabited, by Michael John Garcés, directed by John Giampietro. This is a supernatural piece, with blu (Molly Carden) and galvez (Gio Perez) being haunted by ghosts of the previous owners of blu's new apartment, as well as by blu's ex-boyfriend spider (Michael Schantz). The actors handle the rapid-fire and stuttering dialogue with aplomb, making their terror very real. 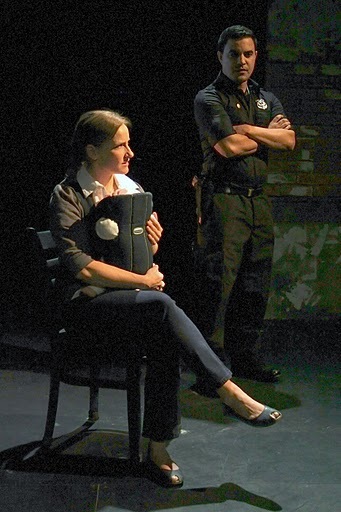 Next was (2)11 by Janine Nabers, directed by Colette Robert, which illustrates the conflict some police officers having patrolling a neighborhood where they have familial roots. 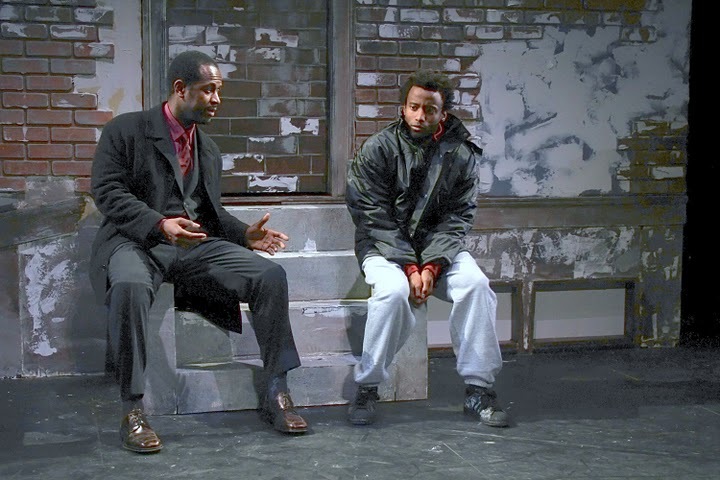 Sara (Andrea Day), a white woman with a baby, was harassed on the street, and she doesn't get much help at the police station from black officer Riz (Tai Verley), though "good cop" Dario (Casey Robinson) takes pity on her and drives her home, only to reveal to the audience that street punk Ernesto (Federico Trigo) is actually his brother. Their father Jorge (Gilbert Cruz) also makes an appearance. The play sets up some great characters and tension, but then doesn't do much with them. 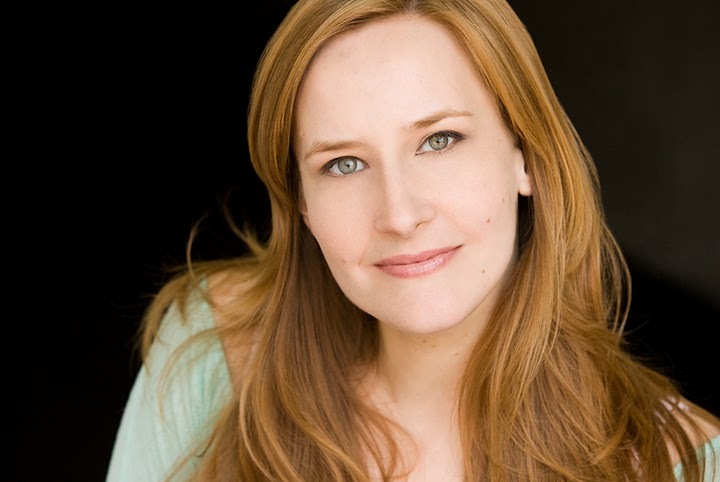 And finally was Crawl by Crystal Skillman, directed by Colette Robert. A lovely two-hander about two black brothers, one of whom is about to sell their childhood Brooklyn home. Alex (Nathan Hinton) is ready to be rid of it, while Ty (Sheldon Best) still has fond memories of the place. Touching, and at times very funny (especially in a discussion of the movieAvatar). Katherine Akiko Day's scenic and costume design is quite impressive; a realistic front stoop of a dilapidated brownstone serves as background for all the plays. Colin J. Whitely's sound design is a potent mix of city sounds. Marie Yokoyama's lighting is evocative of many different moods. Between-scene projections by photojournalist Dennis W. Ho illuminate the real-life settings of the scenes to come. Gentrifusion not only provides a wonderfully multi-racial and talented cast, and a great evening of theatre, but each of the plays is paired with a philanthropy (all of which Red Fern has worked with before on previous projects). If you like provocative new urban theatre, this is not to be missed. Tickets are $25 and are now available online at www.theatermania.com or by calling 866.811.4111. Tickets may also be purchased in-person at the theater box office ½ hour prior to the performance. Andre St. Clair Thompson and Devin Norik in "Robert Mapplethorpe Doesn't Live Here Anymore". Nathan Hinton and Sheldon Best in "Crawl".